Today was unfortunately our last day in Rio and we are off to home tomorrow! While it is extremely sad, I feel we had a fitting farewell. Then after the IBC we headed back to our hotel for an authentic Brazilian barbecue prepared by our driver Daniel. Daniel is truly a jack of all trades, he’s a great cook, a police officer, a driver, an event promoter and as we would soon find out a great soccer player. We had delicious food and ended the barbecue with a little ceremony to thank Rodrigo and Daniel, the dream team that helped make our time here so amazing! And if that didn’t tire us out enough, we decided that one final fans of volleyball was in order! 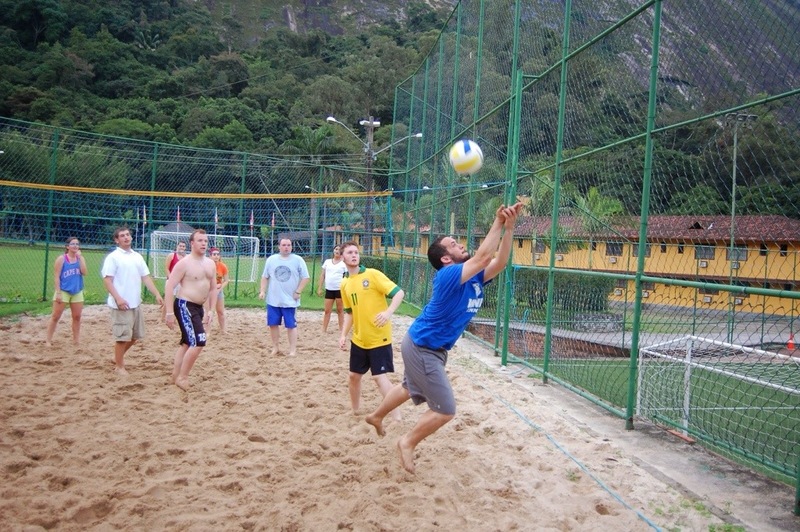 While my team lost the soccer match we cleaned house in volleyball, which is my sport anyway. Even in the sand, after years off the court, it appears I still got something left in the volleyball tank! It’s hard to believe that this experience is over, and I will post in a couple days summing up my whole experience but to make it short, this truly was the experience of a lifetime and one I will NEVER forget! Thank you Rio! See you again soon (hopefully). 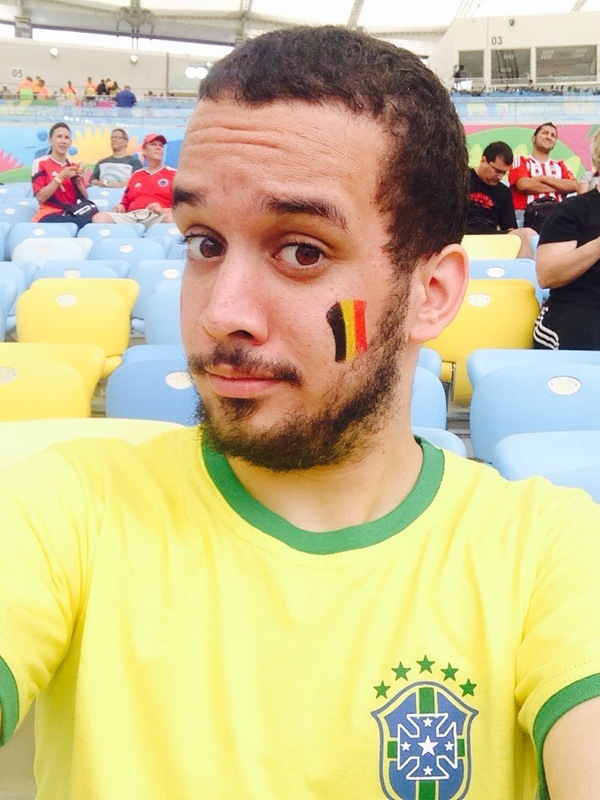 Today we headed to our third and final match at the iconic Maracana stadium to watch Belgium play Russia. While I didn’t really have a dog in this fight as Professor Hamakawa would say, it was still another amazing opportunity in Maracana. While sitting in the stands we were surrounded by Belgian fans and one offered to paint my face with their flag, so of course I had to say yes! With their flag on my face I quickly caught Belgian fever (if that’s a thing). Most of the game went scoreless until the 85th minute when Belgium scored and won 1-0!! I got high gives from Belgians all around me and they embraced me as their own! It was a great way to say goodbye see you later to Estadio do Maracanã! 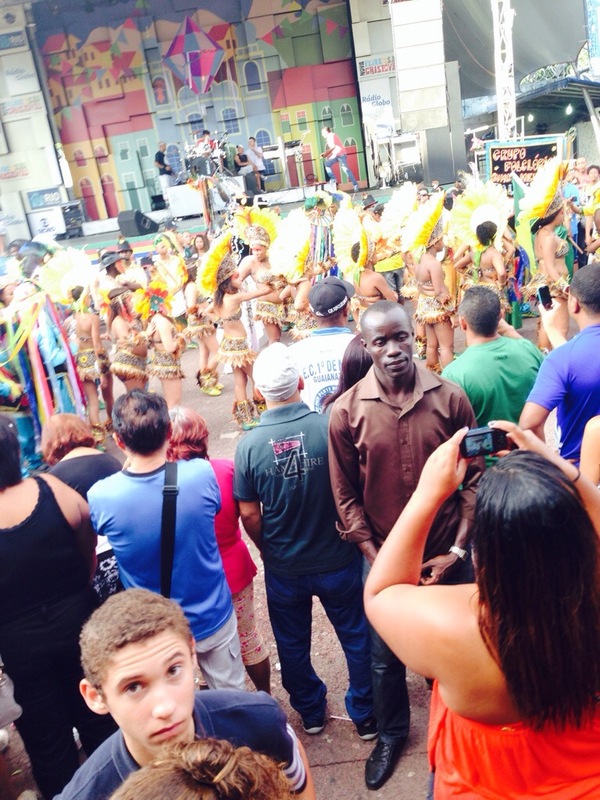 On our way home from the match we stopped at a giant festival celebrating Brazilian culture. We had more delicious Brazilian food, heard Brazilian music and saw a little Brazilian dancing! Tomorrow is our last full day in Rio, and I have to stop typing their so my tears don’t damage my keyboard. Today we finally had a beach day! The weather wasn’t quite what I would have liked it to be but it was sunny and there was no rain so I won’t complain! We spent the day visiting two of the most famous beaches in Rio and the world, Ipanema and Copacabana! The water was an amazing temperature and the beach gave us a beautiful view and scenery. 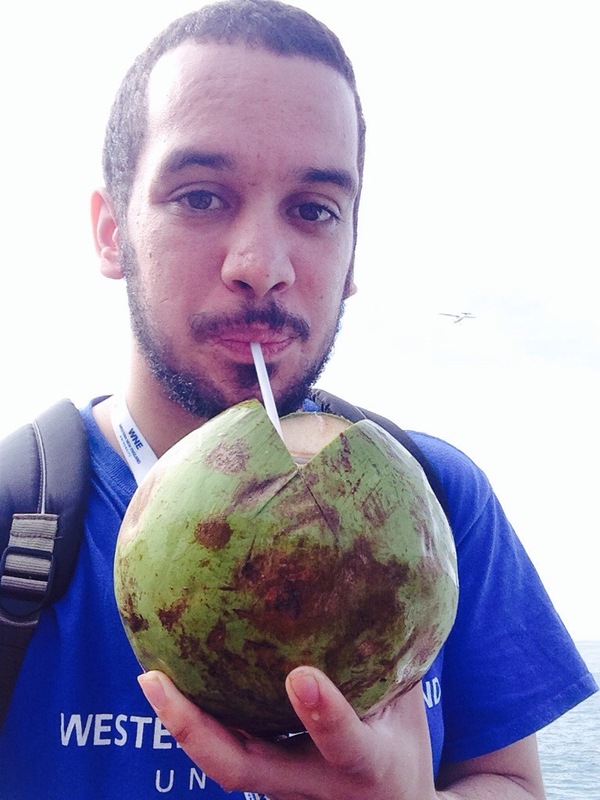 While on one of the beaches I got try try coconut water for the first time, and it was fresh straight from the coconut and it was pretty good! Our last stop before going home was a display of the United Nations Buddy Bears. Giant bears decorated by over 140 nations displayed together to demonstrate unity. How fitting since the Golden Bears were there for a visit! 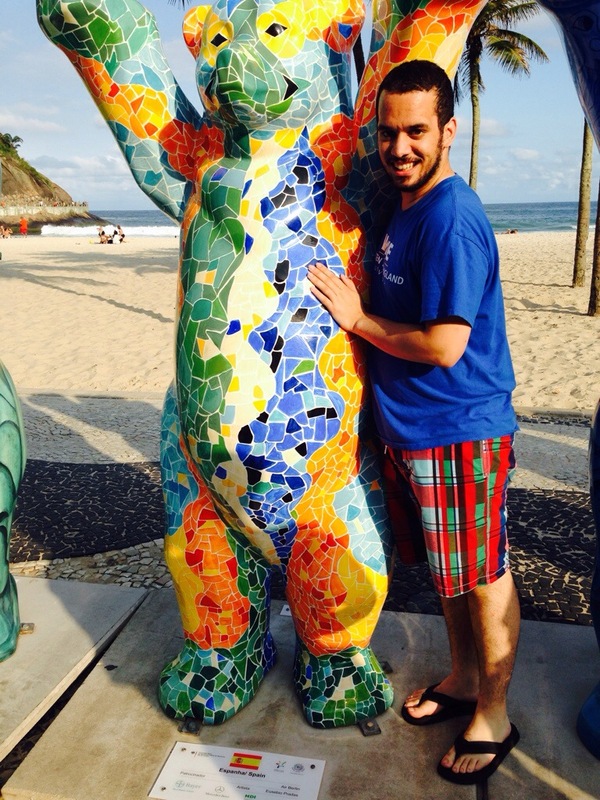 Here I am with the bears from Brazil and Spain! 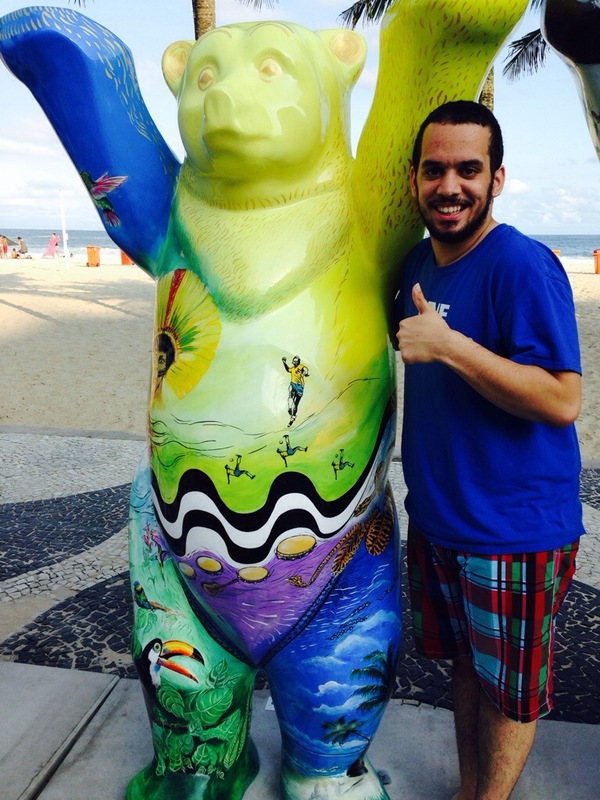 While I didn’t quite get the tan I was hoping for, I still get to say I swam in the ocean…..AT THE COPA, COPACABANA!! So today we only had one item on the agenda, a tour of one of the favelas in Rio de Janeiro. 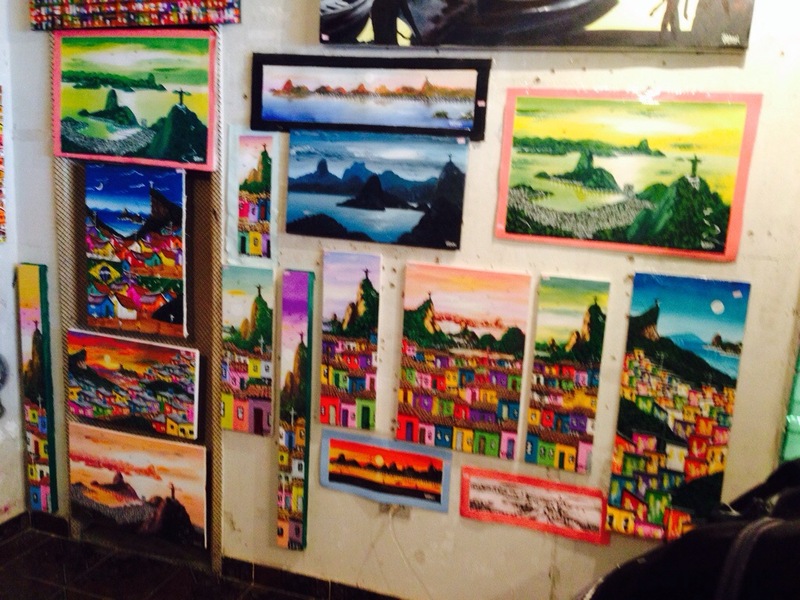 As we were touring the favela we got a really good history of the favelas in Rio. 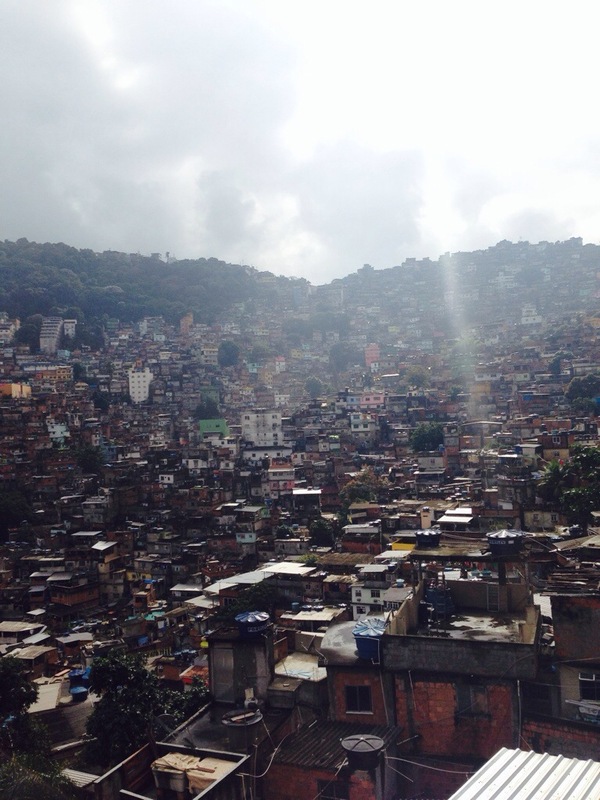 Currently there are over 800 favelas in Rio with about 20% of the population living in them. They range in size from from around 50 to 200,000 people. Favelas for those that aren’t familiar with them are shantytown a built into mountainsides and unused land for people who can’t afford to live in traditional housing. We visited the Racinho favela, the largest in all of Latin America with 200,000 people living in an area less than 1 sq kilometer in size! At the risk of sounding cliché, I will say that seeing those living conditions truly makes you appreciate what you have. In addition to the accommodations I noticed some other cultural differences. First off, children were often walking around by themself, something you don’t really see in the states. Another really cool thing we saw was part of their informal economy where one woman turned her living room into an art gallery, with amazing art! We learned the history of gangs and drugs in the favela and how the culture changed once the police arrived. 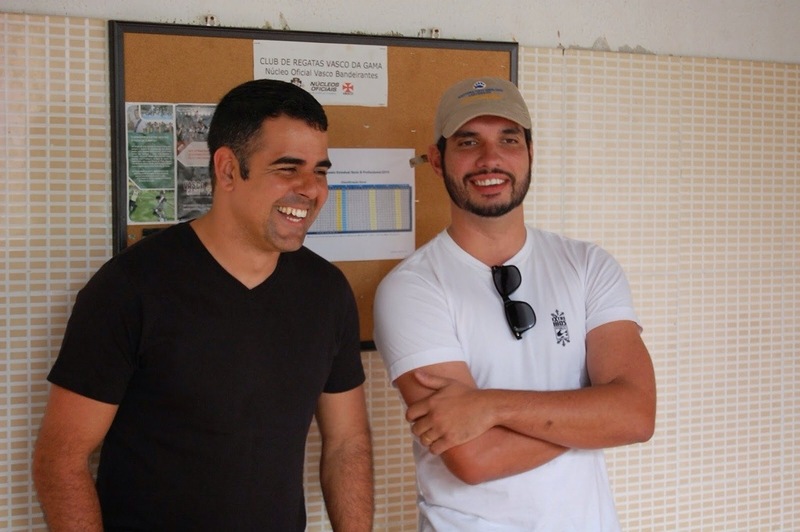 We also debunked some of the myths of the favelas. Some believe the people there have nothing, but they have electricity, water and cable tv! Others believe that they have these things but steal them and pay for nothing. While some of these people do live like this, there are certainly people that pay for everything. With people not having to pay for these things it brings up the question of whether or not people want to leave the favelas? This made me think of the US and the accusation or belief that people on welfare are content living off of welfare. I could have a whole other blog post about this but for now I’ll just leave you to ponder this comparison. Another comparison, and one I mentioned earlier was between the rich and poor areas in Rio. You can clearly see the favelas, that cost about 200 reals per month to live in. Then at the bottom of the picture you see the high rises right next door which is the most expensive part of Rio to live in where homes can cost around 10 million reals! Such a stark contrast cohabiting the exact same area. The issue of poverty is something I’ve studied a lot and an issue I hope to tackle in my professional life so this was an amazing experience for me. Tomorrow we are off for a relaxing day at Ipanema beach and Copacabana!! Hopefully I can get a tan!! Today was one of my favorite days because we spent the day learning about Brazil’s history and I am a huge history buff! 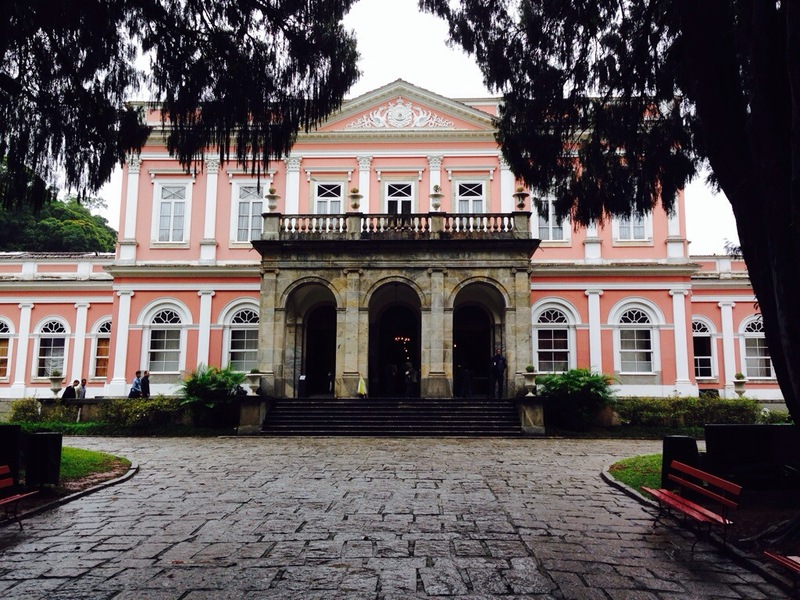 We spent the day in Petropolis, the imperial city, which stands for Peter’s city, who was the emperor of Brazil in the 17th century. We started the day in the former imperial palace turned museum. Unfortunately we could not take pictures inside the museum but it was absolutely beautiful! Learning the history of Brazil was great, and as a political science major, comparing the imperial history to that of other countries was especially rewarding and eye opening for me. 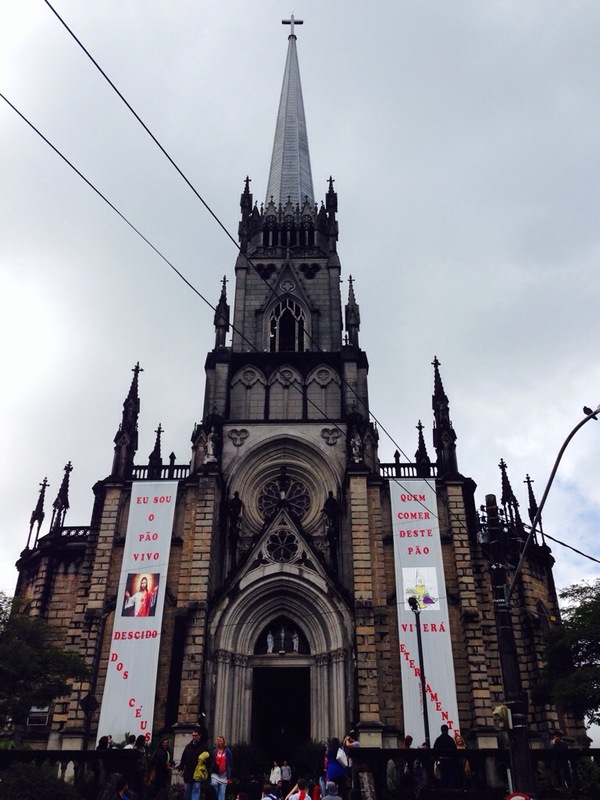 As we walked through Petropolis it looked as if the town hadn’t been touched since the 17th century. Even a house we walked by that was having construction done on it looked straight out of the imperial period. You could see the Brazilian people had a strong and proud connection to their history; something you don’t see a lot in the United States. Our next stop was lunch where we had some authentic food once again! Those who know me know that I love to eat and I love food. Those that know me well know my favorite food is Shepard’s Pie and today I had the Brazilian version and it was delicious! Now it’s not grams Shepard’s pie but it did the job today! 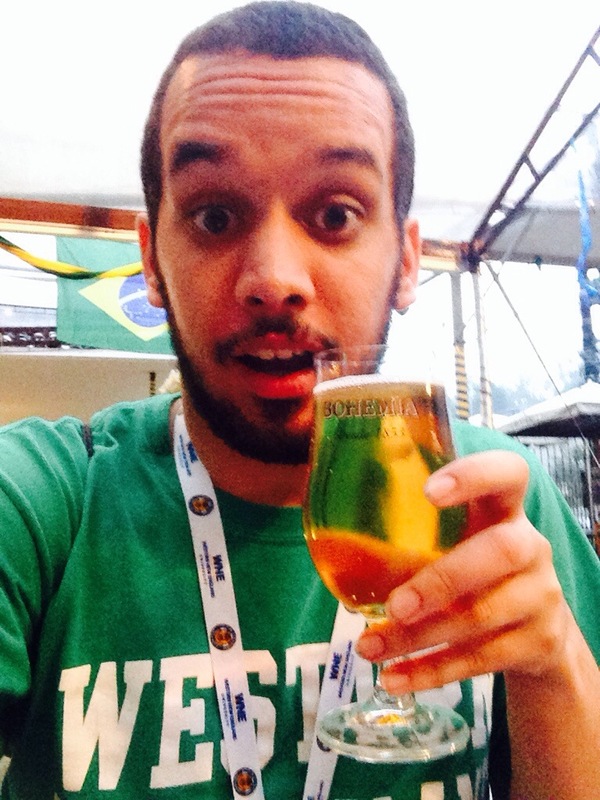 Our final stop was at the Bohemia Cervejaria (brewery) where we learned about the history of beer and alcohol both in Brazil and the world. Did you know the Egyptians introduced the world to beer? Maybe that should be one of the 7 wonders of the world instead of the pyramids (just kidding). It was an extremely interactive your with games and photo opportunities the whole way. At the end we got to taste two types of Bohemian beers, a Pilsen and a Confraria. Now I’m not much of a beer person (at least I’m assuming so because I am not 21 so I’ve OBVIOUSLY neeeever had alcohol) but the Pilsen was pretty good! Another great day in Brazil in the (history) books. Hope you’re enjoying following my journey half as much as I’m enjoying having it! So today was a relatively short day but still one filled with heartache on the pitch! 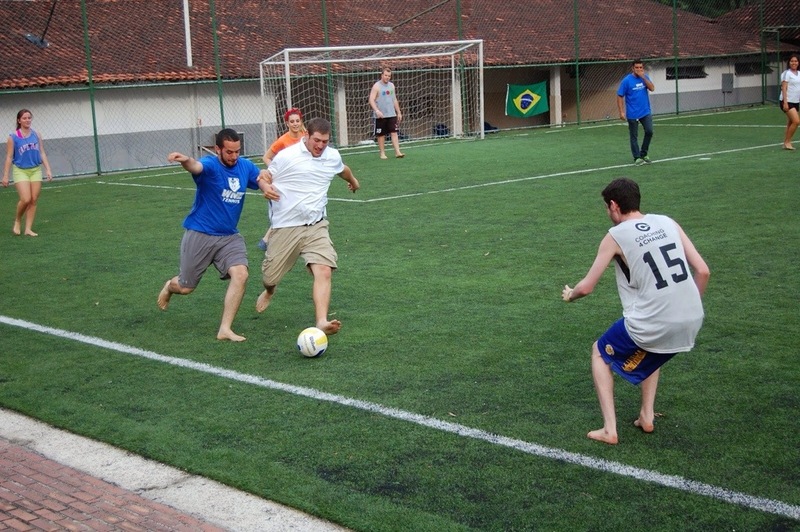 First off was our delegation friendly where we played a game of 5-on-5 soccer in honor of the World Cup. After taking an early 4-0 lead I was feeling pretty confident in my team. Then the other team battled back for a 10-9 victory. In the end we all had fun and had a nice little workout! But I still hate losing! Then we went to attend our 2nd of 3 World Cup matches pitting the defending world champions Spain against Chile, a team not many thought had a chance. Before we even got into the stadium we were stopped by a group of entertainers and we got a workout in as they taught us some dances to warmup for the game! 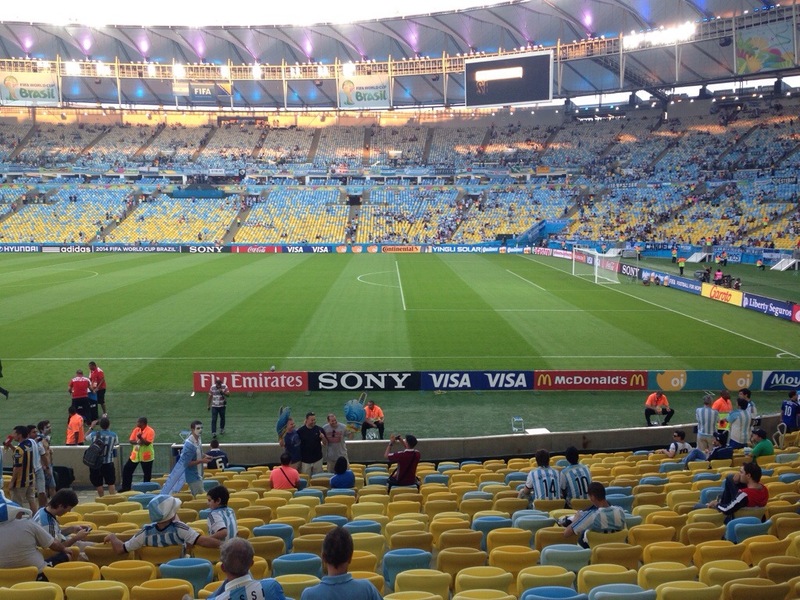 Walking into Maracana I quickly saw I was outnumbered as a Spain fan as the stadium was filled with Chileans. Still I felt confident in my team, a confidence that quickly faded as they lost 2-0 and were knocked out of the World Cup! 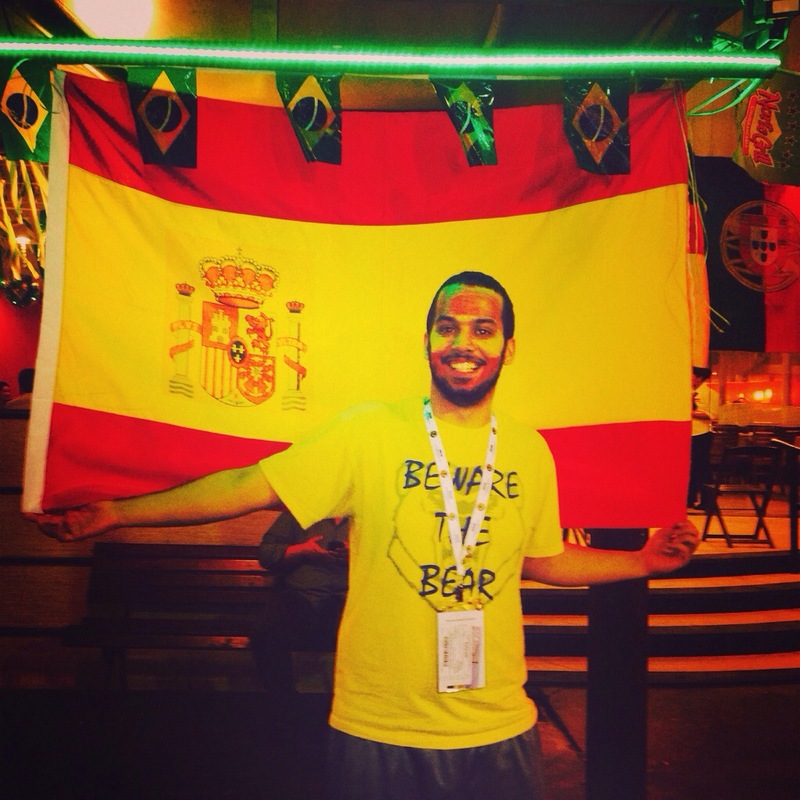 My heart still aches but I will forever bleed red and yellow for La Furia Roja! Viva España! Campeones Siempre!! Even though I hate seeing my team lose there is a silver lining here, I no longer have to split my time between Spain and Argentina and can devote all my attention to Messi! Argentina para Los campeones del mundial! So today we completely played the part of tourist and went all around Rio on a cultural tour and visited some pretty cool places of interest. Our first stop was the site where Carnival is held each year. We saw the area where as many as 2 million people gather to dance and listen to traditional Brazilian music. 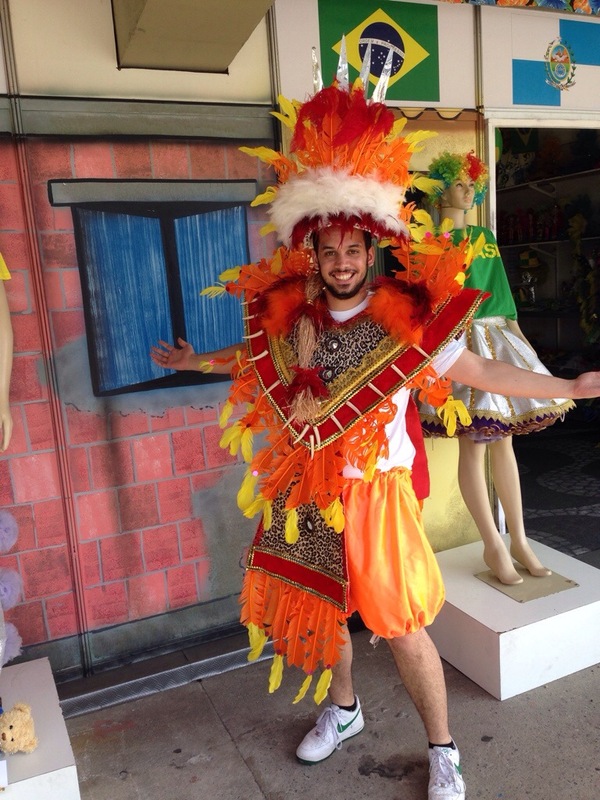 We had the opportunity to try on some traditional samba costumes so of course I jumped at the opportunity! Personally I think I look great! And let me tell you, after five minutes I was sweating so I couldn’t imagine what it’s like for the dancers in the summer heat! 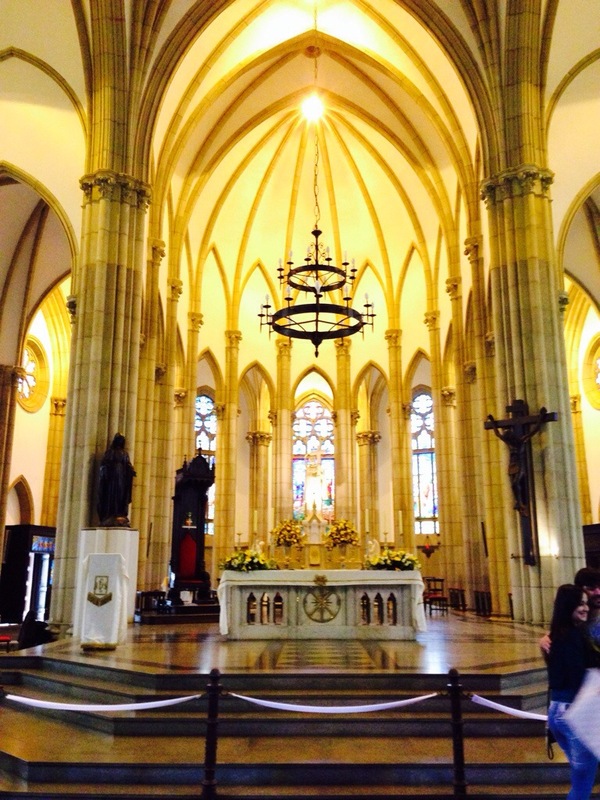 We next stopped at a catholic cathedral unlike any I had ever seen. When I hear cathedral I think typical cathedral like that in Italy or Spain. This was different because it was built in the shape of a cone, with inspiration from the Mayan Pyramids. It was definitely unique but really cool. It was designed to represent the people. A large base to represent all the people and narrow at the top to represent the small amount of people who made it into heaven. The last stop was the Escadaria Selarón or Selarón’s Staircase. 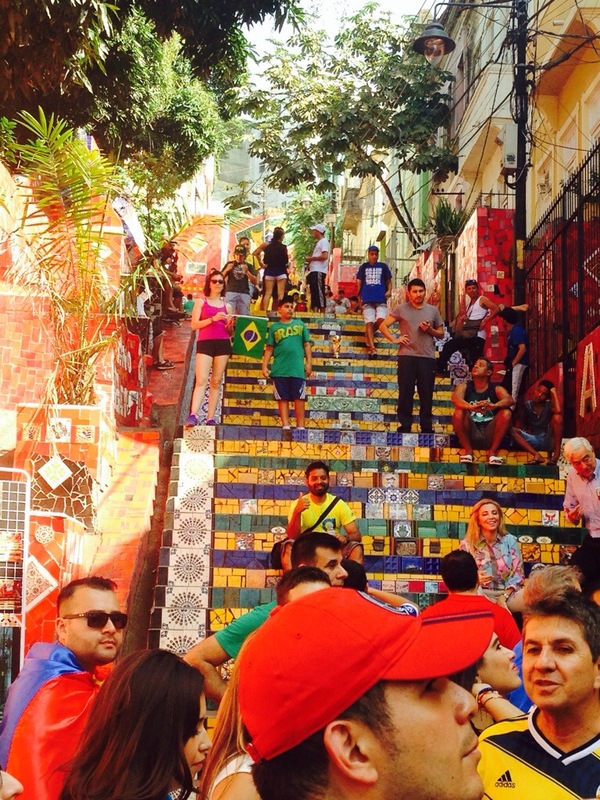 Which is a set of 215 steps in the middle of Rio where the artist spent 25 years decorating the stairs with artwork from all over the world! 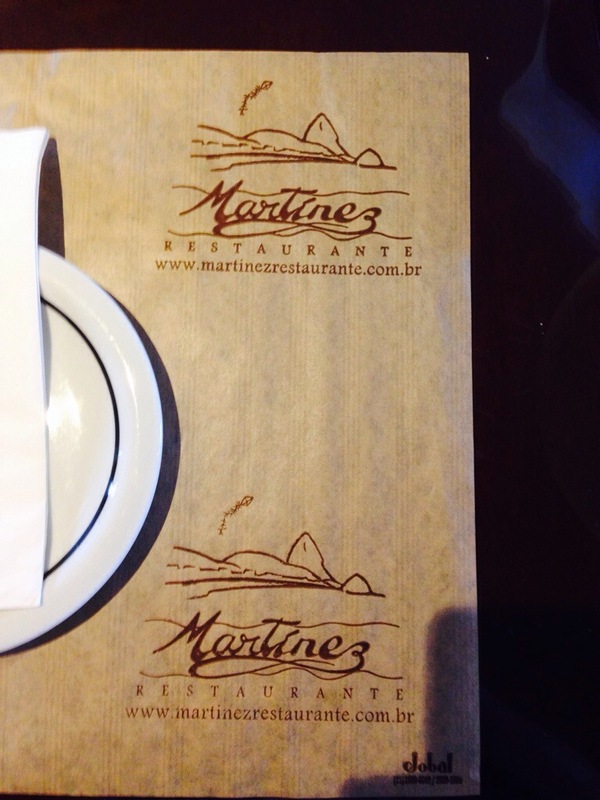 Another great day topped off by FINALLY having authentic Brazilian food and it was delicious!! 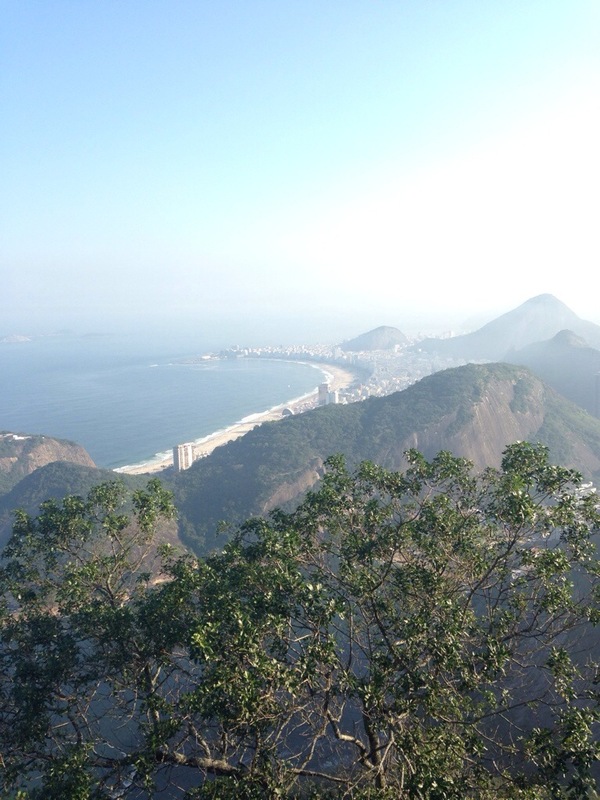 I can certainly say I am exhausted after day 2 in Rio after climbing two mountains. Well, the train and cable car we took climbed the mountains but there were still stairs involved! 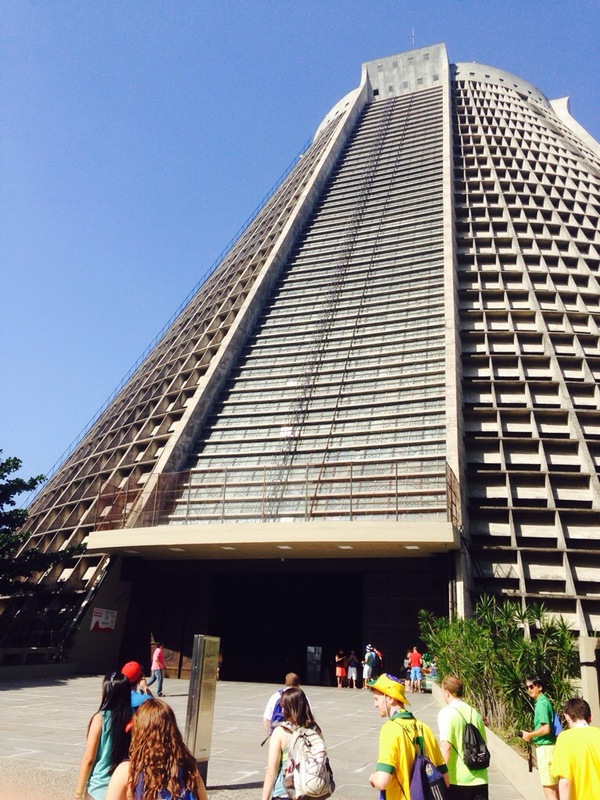 The first mountain was the famous Corcovado mountain! 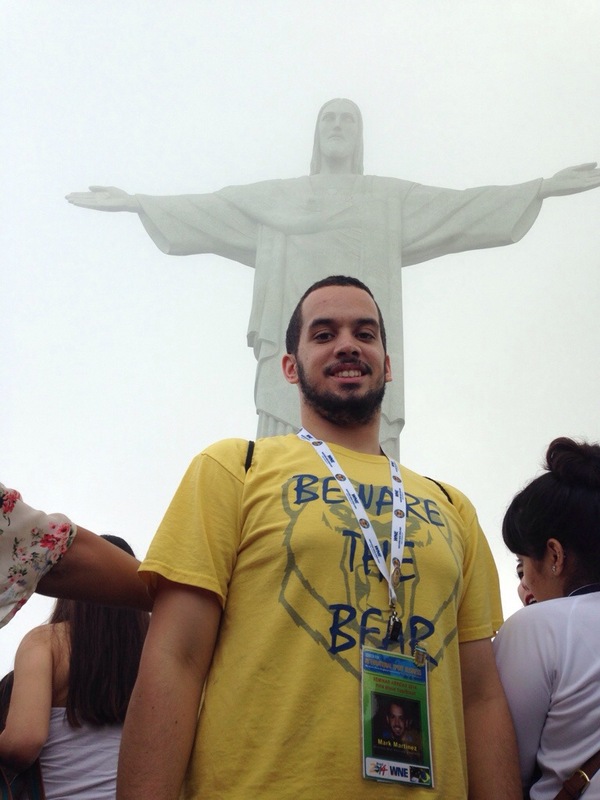 While most may not be familiar with Corcovado, they are certainly familiar with the figure that sits atop it, the iconic Christ the Redeemer (Cristo Redentor) or as I like to call him, Giant Jesus! If you’ve ever seen a movie that even mentions Brazil you’ve seen this giant statue and I got to see it up close and personal! Being up there was nothing short of amazing, after the fog cleared of course. 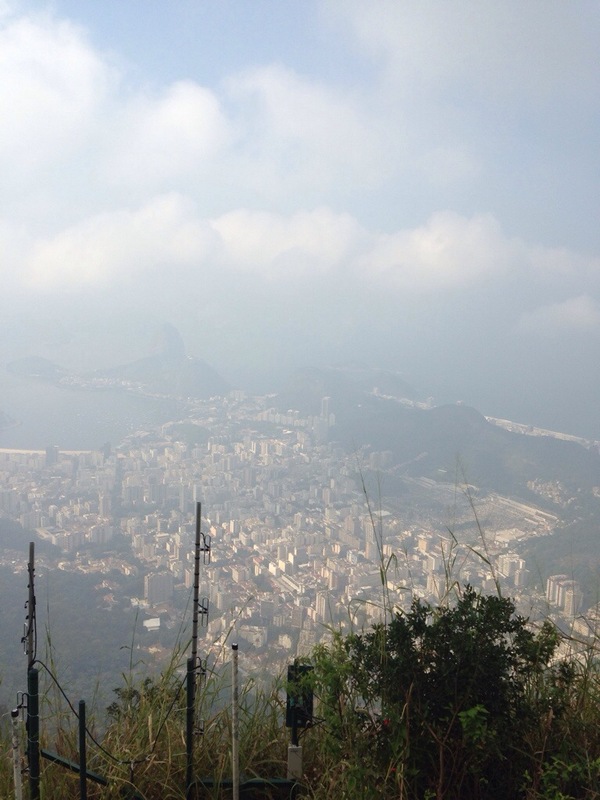 And once it did we had amazing views of all of Rio! Even up here soccer reigned supreme as chants broke out all over the place from the fans of Colombia, Algeria and the US! Then shortly after everyone would join together for a group pic, because even though we all want our team to win, we are also here to celebrate soccer and just have an amazing experience! Yesterday I got to experience the beauty of the World Cup and today I got to witness the beauty of Rio and see why it is considered one of the most beautiful places in the world! This trip gets better everyday!! 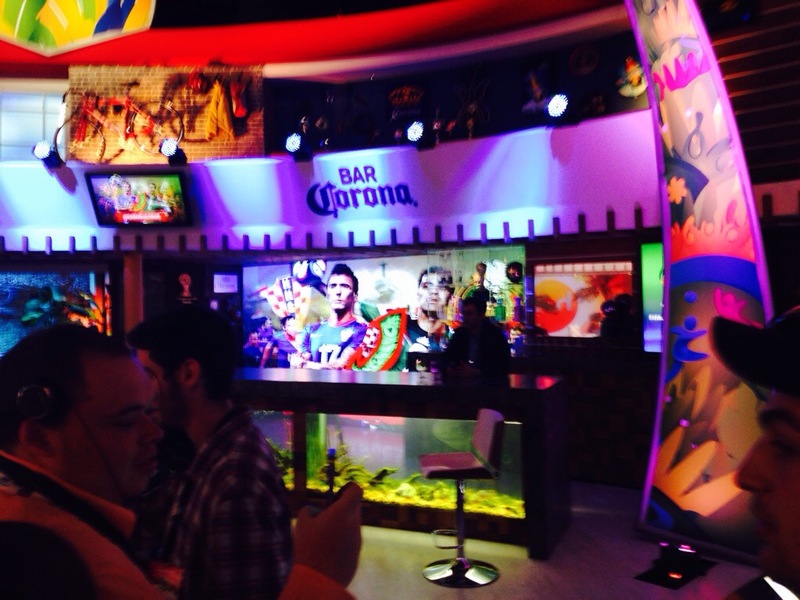 So my first official day in Rio has come to and end and I can say the bar has been set extremely high! Even if this was my only day here I would be happy, fortunately I still have many more. In just my first day here I’ve had the experience of a life time! It all started with the drive from the airport. The first thing that was very evident was the vast gap between the classes. 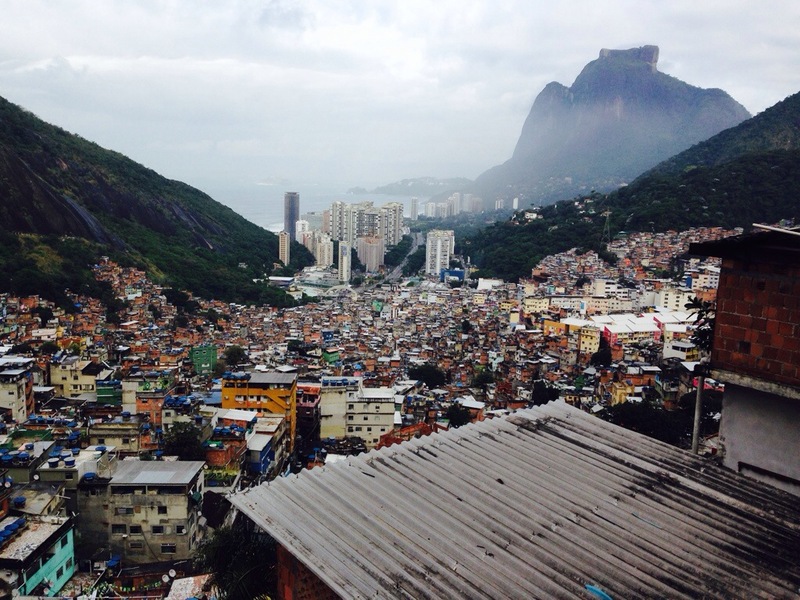 If you think there is a wealth gap in the US, you haven’t seen anything until you’ve seen Rio. One minute we are looking at brand new stadiums and state of the art residential and business buildings and right next door are the favelas barely standing on their own. Can’t wait to explore this a little more! Then came the moment I’ve dreamt about; watching Lionel Messi lead Argentina in their match against Bosnia-Herzegovina. Not only did I get to watch my favorite athlete in the world play I got to do it in the LEGENDARY Maracana Stadium, the temple of soccer. I am still in disbelief that I was able to watch it and be so close to the pitch! 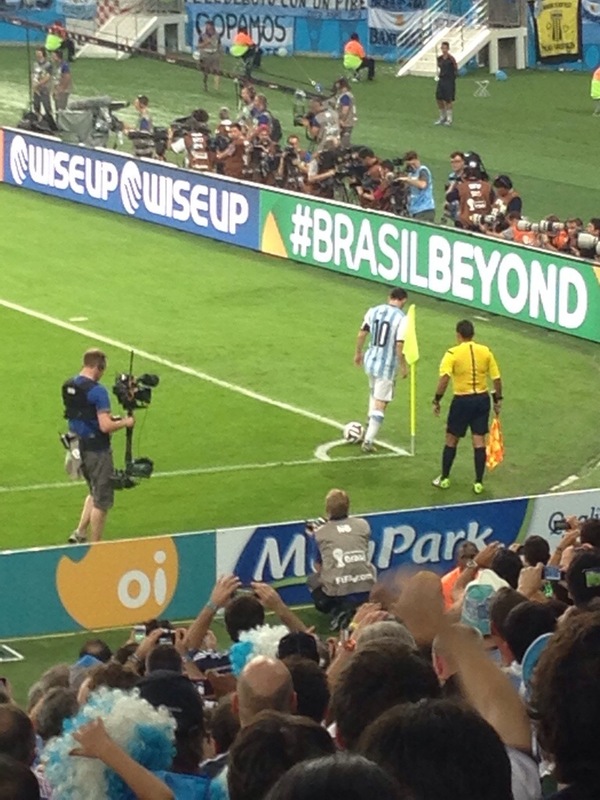 Other than the fact that Argentina won 2-1, I got to see Messi score a goal in true Messi fashion, by making it look easy! At times I felt I could touch him he was so close, just look! In tonight’s excitement I hugged strangers, jumped up and down with them and sang songs I didn’t even know the words to. Regardless of whether the people around me tonight were Hispanic, Brazilian or Bosnian, tonight’s only language was football. One day in and my dream has come true, can’t wait to see what’s in store from here on out!